Resource center Guide to Drug Overdose and How it Can Be Prevented How Much Ecstasy Would Result in an Overdose? Drug overdose is a commonly used term associated with serious harm and death, but it’s rather hard to define. Technically, an overdose is considered to be any dose of a drug that is higher than is considered “appropriate” for therapeutic or recreational use. It doesn’t necessarily mean the individual is at risk for serious health complications or death. Although it is possible to die of an ecstasy (MDMA) overdose, these events are quite rare. Most overdose deaths result from excessive consumption of opioids like heroin and opioid prescription drugs. Most deaths involving ecstasy also typically involve other intoxicants like alcohol or cocaine. Because it’s an illegal drug, it’s also often combined with other substances before being sold in generic tablet form, and sometimes drugs labeled as ecstasy are actually something different. However, deaths from pure ecstasy overdose have occurred. What Factors into Overdose Risk? Tolerance may be one of the biggest factors in whether a person will overdose. Individuals who regularly use a drug will find that their bodies adjust to the substance, requiring a higher dose to get the same effect. Stopping intake of the drug for a significant amount of time causes that tolerance to fall. Many overdose cases actually occur because someone attempted to quit taking a drug and relapsed. Because the person’s tolerance was reduced, going back to the same dose they were taking before the attempted abstinence resulted in an overdose. Body fat also plays a large role because intoxicants are absorbed by and stored in fat. This makes women and girls more susceptible to overdose as they naturally have more body fat content than men and boys. Age is also a factor as small bodies and developing brains are less able to handle large amounts of intoxicants. 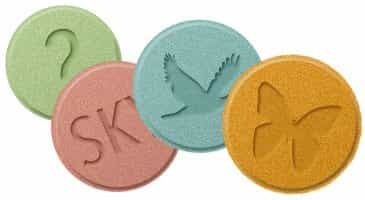 There was a case of a 15-year-old girl who died in 2013 after taking 500 mg of ecstasy; however, older and more experienced users may take over 700 mg without significant health risks. Due to the fact that ecstasy is often mixed with other drugs without the user’s knowledge, overdose signs can be unpredictable. The most dangerous effects are severe dehydration, especially during dance parties in hot weather, seizures, and hyperthermia, which is an abnormal increase in body temperature. The most important thing to note is that whenever an overdose is suspected, it should be considered a medical emergency. The victim should be taken to the emergency room as soon as possible for treatment to avoid any risk of serious health complications.